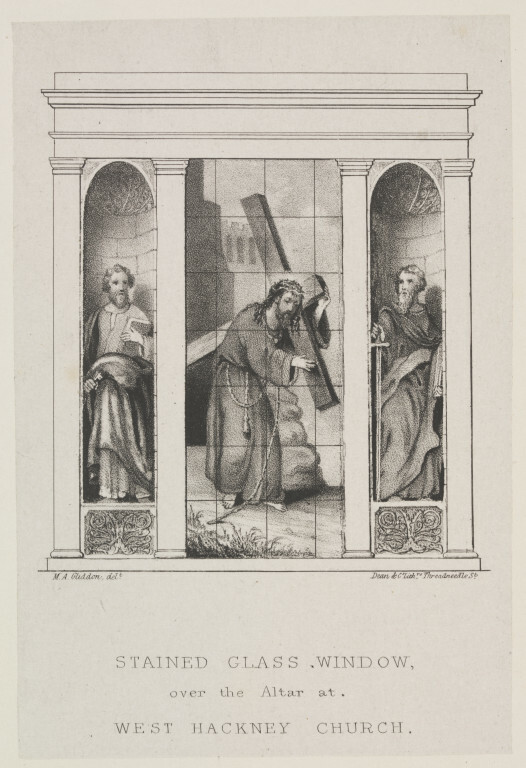 Lithograph depicting the stained glass window over the altar at West Hackney Church, including a central panel of Jesus, crowned with thorns, carrying the cross. M.A. 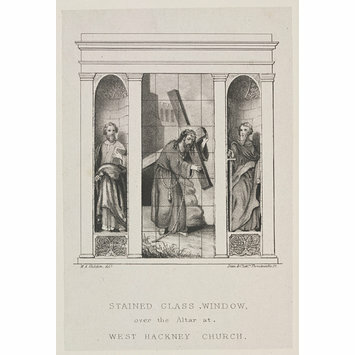 Gliddon, delt / Dean & Co Lithrs Threadneedle St.
Lithograph of stained glass window over the altar at West Hackney Church, M A Gliddon, about 1850.